ENJOYING BEAUTIFUL POOL SIDE VIEWS TOWARDS THE FRONT: A three bedroom detached park home offering generous accommodation situated on a park home site for the over 50's. 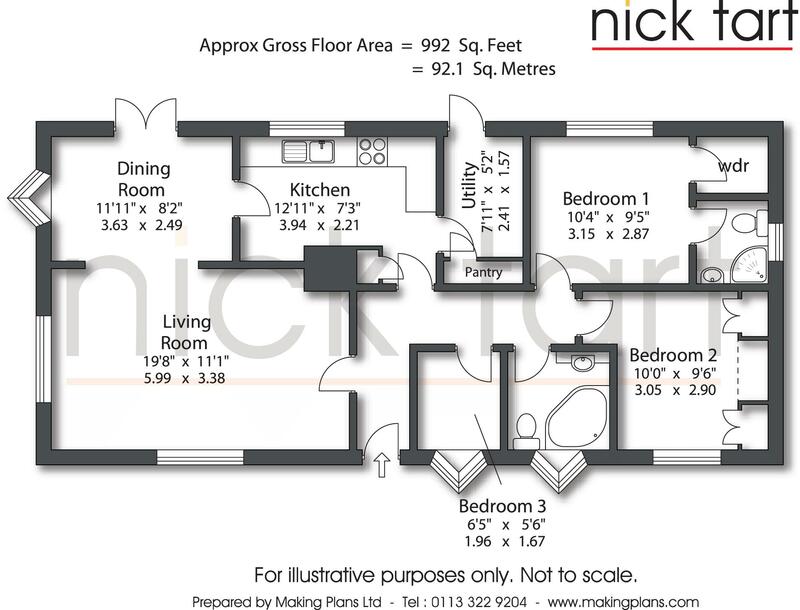 L Shaped Entrance Hallway, Living Room, Dining Room, Kitchen, Utility Room, 3 Bedrooms, En-Suite Shower Room, Bathroom/WC, Landscaped Front & Rear Gardens, Garage, EPC Rating: Exempt. Severn Gorge Park is an attractively laid out development of park homes in a variety of individual styles with the property situated on the edge of the development. Comprises an L shaped entrance hallway with cloaks cupboard, access to the living room, kitchen, 3 bedrooms and bathroom/wc. The living room has a dual aspect, inset living flame effect electric fire and an opening leading to the dining room which has access to the kitchen and patio doors leading to the rear garden. The beautifully appointed kitchen has a range of high gloss base and wall units with down lighters, built-in oven, grill and ceramic hob with extractor hood over, built-in fridge, built-in ‘Bosch’ dishwasher, built-in television and access to the utility room which has matching base and wall units, built-in washing machine and tumble dryer, concealed wall mounted central heating boiler and Upvc double glazed door leading to the rear garden. The master bedroom has a walk-in wardrobe, wall mounted television, and the benefit of an en-suite shower room. The second bedroom has built-in wardrobes with dressing table and drawers. The third bedroom is currently used as a study. The bathroom/wc has a white suite comprising corner bath, vanity wash hand basin and low level wc. How to get there – for sat nav use postcode TF7 4GQ to Pool Side. Tenure – we are advised the property is Leasehold. There is a ground rent payable to Severn Gorge Park Homes LTS. Services – we are advised mains electricity and gas services are connected. Communal septic tank drainage. Council Tax – Band A (Buyers should be aware that improvements carried out by the seller may affect the property’s council tax banding following a sale).